Description: Charming Colonial with many updated features. Spacious rooms are ideal for entertaining & comfortable living. 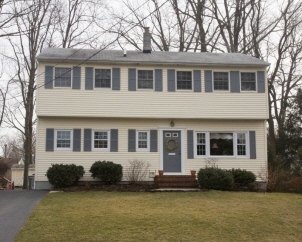 A large family room with fireplace is accessible to the great deck and screened porch. - Family room addition and screened porch were added to the home in 1999. Upstairs there are 4 large bedrooms including a master bedroom with full bath. There is also a rec room in the finished basement. Close to schools, transportation & shopping.